New York State Supreme Court judge Mary Brigantti-Hughes has been reprimanded in a case that many might view as a case of light discipline. Brigantti-Hughes has been found to have used staff as personal servants and using court resources for personal purposes. She has also been cited for pressuring staff members to participate in prayer sessions. For those acts, she has been given a reprimand. 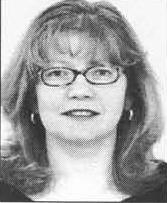 Brigantti-Hughes was found guilty of having “misused court resources and engaged in conduct that was implicitly coercive and inconsistent with the ethical rules.” The state Commission on Judicial Conduct found that Brigantti-Hughes, 54, had her secretary drive her on shopping trips and to get her hair done as well as trip with her legal secretary to get gardening supplies at Home Depot. Staff members were also used a baby sitters on five occasions. I can understand occasional rides or even having someone watch a child. However, the commission found a pattern of such abuse. I am most troubled about a finding that she pressured employees to join in on prayer sessions she held in her chambers during business hours. While she insisted that staff were not forced to participate, she admitted that it may have been hard for employees to refuse. The intermingling of the faith of the judge with subordinates during business hours shows remarkably bad judgment and magnifies the failure of this judge to separate her personal life from their official duties. What do you think should be the proper punishment from reprimand to suspension to removal? Everyone who has subordinates intermingles their personal faith with their relationships with subordinates; doing otherwise is, as I observe, utterly impossible. However, when a superordinate person intermingles personal faith with subordinate relationships and the subordinates happen to share substantially the same personal faith, the intermingling of personal faiths tends to elude conscious awareness. When aspects of personal faith are sufficiently egosyntonic with a person’s local cultural milieu, such personal faith may take upon itself the deceptive form of seemingly biologically valid social reality construction. Therein lurks, methinks,the contagiously addictive and addictively contagious nature, as an existential dance of form and function, of interpreting life as inherently and inextricably adversarial. What would I do, were I able to do anything? I would seek, and, if possible, find a way to reward New York State Supreme Court judge Mary Brigantti-Hughes for her bringing to surface awareness the actual impossibility of separating personal religious faith from the work of judges..